Our waterfront location at Woodley Island Marina in Eureka, features the only dockside kayak and SUP rental facility on the redwood coast. 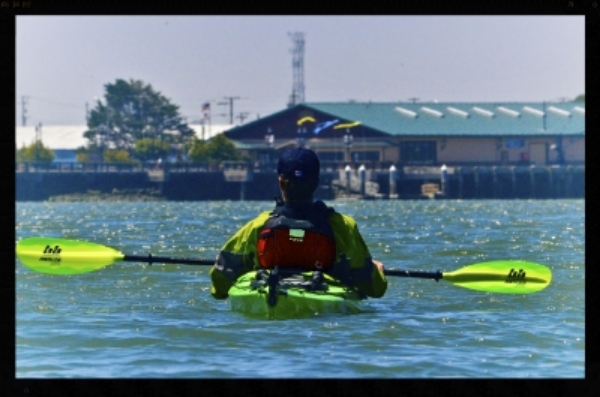 Come on down to Dock A and we’ll provide you with the Kayaks, SUP’s, Canoes, and everything that you’ll need for a paddle on Humboldt Bay. Paddle around Indian Island to see the egret rookery or along the water trails of the Humboldt Bay National Wildlife Refuge. We have both single and tandem kayaks; for families we offer a double-kayak with a drop-in seat in a center hatch for younger paddlers. We have Stand up paddle boards to cruise the bay or surf the ocean. Wetsuits and training included in SUP rental. While we are ideally situated on the water in Humboldt Bay, you are welcome to car-top a rental to a different location (not all cars are suitable). Besides all your boating needs, Humboats carries a full line of backpacking and camping gear for rent. Tents, stoves, sleeping bags, internal frame packs, and much more. Let us help plan your ultimate Redwoods kayaking adventure. “If you’re in Eureka and want to go kayaking you must go to Humboats! Good vibes and friendly people! They have kayaks of all shapes and sizes; life vests, pants and dry bags! The location is so perfect on Woodley Island you can cruise into the bay and see tons of birds and seals.